This is the Carzone.ie guide to buying a used Dacia Sandero. Dacia’s super-value ethos extends throughout its entire range and the most value-orientated model of the lot is the Sandero, which is purportedly a B-segment supermini. It is based on an old Renault Clio and offers a lot of interior space and a smattering of useful toys, all for the sort of money and running costs that are comparable to used vehicles. Launched in 2012, it was updated in 2016 with new lights, new bumpers, a new radiator grille and some new interior finishes, but in essence you’re still looking at what is an early-2000s-era Clio in a different-shaped, Romanian body. 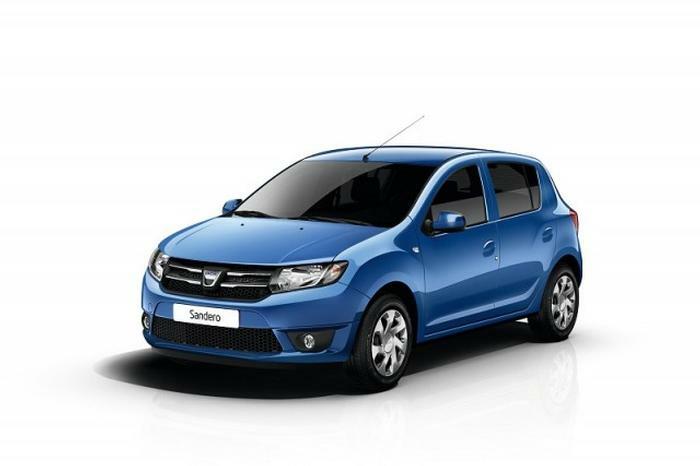 Dacia offers the Sandero as both a regular five-door hatchback and a more rugged, higher-riding Stepway model, which features off-road-inspired styling features – and a higher purchase price, too. No matter whether you go for the standard Sandero or the Stepway, drive goes exclusively to the front wheels via a five-speed manual gearbox. Three engines were offered post-2016 in the Sandero hatch, which were a 73hp 1.0-litre SCe three-cylinder normally aspirated petrol, a 90hp 0.9-litre TCe three-cylinder turbocharged petrol and a 90hp 1.5-litre dCi four-cylinder turbodiesel. Prior to the SCe’s arrival in 2016, a 1.2-litre 16-valve four-cylinder petrol was available. The Sandero Stepway makes do without the SCe unit, only providing buyers with a choice of the 90hp petrol or diesel motors. Trim levels are Alternative and Signature, the former focused on value, the latter adding in some useful equipment but managing to keep the costs of the Sandero down. The 73hp petrol is the cheapest choice but it needs working, and working hard, to get only acceptable performance from it, so you’re better off looking at the turbocharged 90hp units. The diesel’s OK but the charming appeal of the three-cylinder petrol makes it our preferred choice, as long as you don’t ever need to go beyond about 3,500rpm with it. The Sandero doesn’t do anything spectacular, but by the same token it doesn’t do anything appallingly badly, either, so it’s a fine conveyance for the act of getting from A to B. It also actually undoes its own ‘buy new’ argument, too, by providing even more tremendous value-for-money once it emerges onto the very used car market it seeks to undermine with its aggressive pricing.